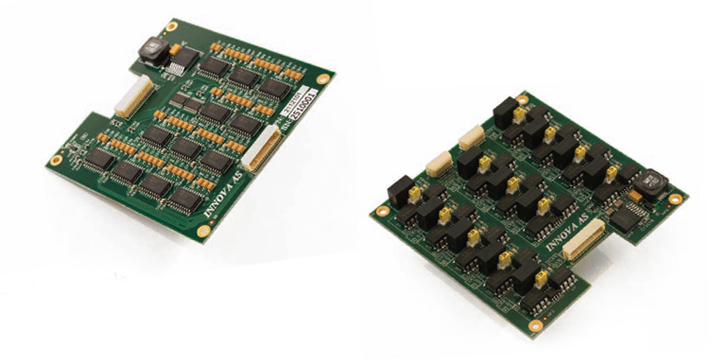 Innova Link Extension boards Analogue Video and Serial Communication system. for the other products in the family. daughter boards with additional video and data channels. In addition, custom extension boards can be developed. conversion from RS232 to RS485. RS-485 control, J2 Molex 43025-0400 conn. Trigger output, J3 Molex 43025-0200 conn.
RS-232, J4-J8 Molex 43025-0400 conn.
RS-232 / RS-485, J9, J10 Molex 43035-0600 conn.